I am currently working on project managed with pure Agile Scrums and a coach to help us (and our customer) to follow properly the process and embrace the methodology 😉 I must say, even after working on Agile projects for quite some time, having a coach and a team committed to properly follow the methodology is great! Each set contains cards for 4 estimators and cost between $2.5 and $5. However they charge $40 to ship them in Australia!!! 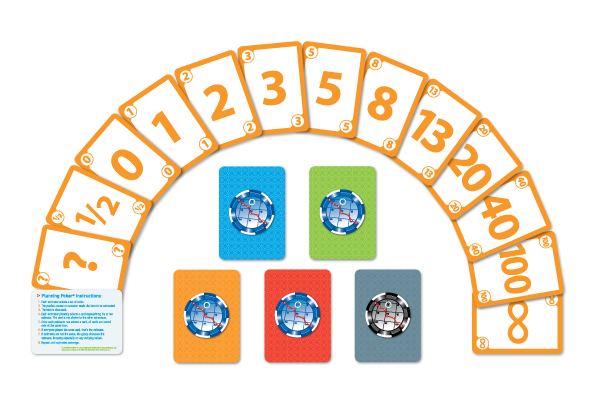 If anybody knows other places to get Planning Poker Cards, please, add a comment and/or link. Thanks! did you ever find a local supplier for the agile playing cards? Hi Sharon, no I haven’t really looked for it actually… I got few sets from various sources at conferences or trainings.